A recent study suggests brokers have a golden opportunity to talk to homeowners one-on-one about how to protect homes from basement floods. 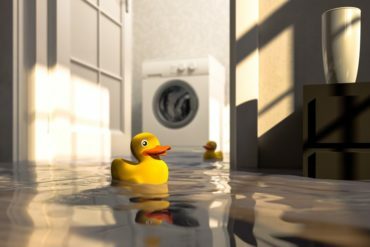 With the right information and often for less than $500, homeowners can protect themselves from the increasing risks of basement floods, according to a report from the University of Waterloo. The study suggests homeowners are looking to people they trust — such as brokers — to provide the right information. What information can brokers provide to their clients about basement flooding? The HFPP studied results from home flood risk assessments completed by flood risk assessors at more than 500 homes in southern Ontario and Saskatchewan in 2017 and 2018. Based on the study, the report reveals the Top 10 ways for homeowners to protect themselves against basement flooding; several of the items cost less than $500 and can be done over the weekend. Homeowners in the study cited cost as the Number 1 reason why they did not complete the repairs or installations necessary to prevent basement floods. But the price tag paled in comparison to the average price to repair a flooded basement — $43,000 in 2018. Sixty percent of study participants reported completing actions that cost under $500 and could be done by a “handy” homeowner generally within a day. Examples included: storing valuables in waterproof containers or removing them from the basement; cleaning out eavestroughs; installing window well covers; and extending downspouts and sump pump discharge pipes to a minimum of two metres away from the foundation. Forty percent of participants completed actions that were more complex, costly and often required the support of qualified contractors. The cost of completing these actions ranged widely from $500 to over $10,000. Some of these actions included installing a backwater valve, backup sump pump or backup battery; re-lining or replacing a sewer lateral; installing a sewer lateral cleanout; replacing basement windows; replacing eaves troughs; replacing a driveway; and installing window wells.